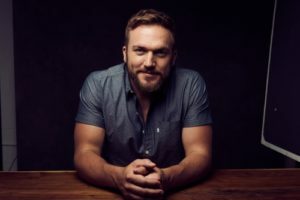 Logan Mize Interview: We Talk at Country2Country 2019 About Touring, New Music and More! Logan Mize Interview: We Chat With the Man From Kansas About Family, Loving the UK Country Fans and Much More! 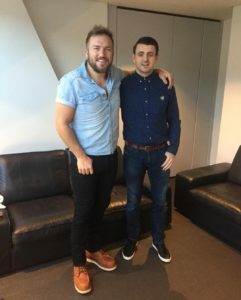 Logan Mize is a name that should be familiar to many UK country fans by now, he’s made the trip over before, and even headlined Nashville Meets London in 2016. His 2017 album ‘Come Back Road‘ was a stellar effort and current single ‘Better Off Gone’ is performing well in the US airplay charts. He headed over to again for this year’s Country2Country Festival. We managed to sit down in Glasgow for a chat. You’re over in the UK as part of the Country 2 Country Festival and you played London yesterday, how did that go? It was great, we had a lot of fun. It was really crammed, we had two shows in the span of two and a half hours. We did media, played the first show, done meet and greet and immediately rushed to the second show. We crammed it in there but it was cool cos there was a lot of stuff going on. So, Glasgow today and then straight back to London? Yeah, we do the Spotlight stage today, then the after party tonight and then straight back down. With you doing the Spotlight stage here at the Hydro and then after party at SWG3, will we see 2 different sets? Do you approach them differently? Yeah, we try to, just in case we get repeat customers. We’ll probably play each show a little differently but our single “Better Off Gone” will sneak into both sets. You’ve been over to the UK a few times over the past couple of years, what keeps bringing you back? I love it over here. I love the people. I love how passionate they are about music and it feels real homey and warm and people appreciate lyrics. Its great. People don’t even care about the reputation you have in the States. They give you a fresh chance over here so it’s really cool. They appreciate even like, deep album cuts and stuff. I’ve had people requesting songs over here that they probably don’t even know in America. Will you get any down time while you’re in the UK to do any sightseeing or just chill out? I wish man. I have two kids so the second I’m done working I’m back home to help with that, but next time I’m over here I’m gonna try to plan days off. We’re hopefully coming back in the fall. Will you get to take in any of the festival or is it all work? It’s pretty quick, I’m hoping I get to see some of the show tonight. Keith Urban is headlining and I saw him when I was in Berlin and I saw them soundcheck in London, It’s a great show. You’ve just been to Germany and Holland, how was that? It was great. We had fun. We did all the sightseeing we could and hung out with the locals. I’d never been to Germany. It was really interesting, really cool. Was it strange playing in a country where English wasn’t the first language? Yeah but I felt like they understood pretty well. I will say that Berlin and Hamburg felt like they knew what I was saying. Frankfurt, I felt like they understood half of what I was saying. But then I felt stupid because I didn’t know any of their language but they knew mine. Yeah, it was different. You last spoke with us here at Sixshooter in August 17 when you had just released “Come Back Road” how has the reception been for that? Oh, crazy! 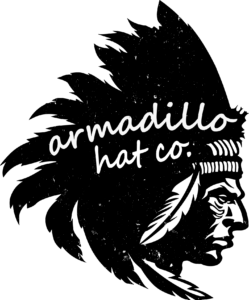 So, the album came out, and there was no big label behind it, and it started out great. The first week was amazing. We debuted top 20 on Billboard, number 2 on iTunes Country charts, really good. But then after that, it kinda fell off the charts and then we spent a whole year working it. And then it just started creeping back to where we have one of the top streaming songs in Country Music now off that album. It’s crazy to see it grow organically like that. What do you prefer, making the music or going out on the road and working on it? I love both. I come from a really blue-collar background so I enjoy getting out there and working for it but that’s the long slow process. The creative part is the most gratifying because you come up with something in your head, you come up with an idea of how it has to sound or whatever and then it materialises. That’s really short-term gratification but the hard work is then promoting it. Do you have any new music planned? Yeah, we’ve started recording the next album. We’re one song deep and we’ll see what happens with that. We have an album called “From the Vault” that’s probably gonna come out here in the next couple of months and that’s an album that never came out in 2014 so they’re gonna resurface that. Hopefully we can get new music out sometime later this year or early next year. You’re a couple of months into the “Better Off Gone” headlining tour in the US, how’s that going? It’s good. We did Part 1 in November and December last year. It was mostly the West Coast. We’ll announce when we start Part 2 next week and that’s primarily gonna be on the East Coast. What’s the best and worst things about being a touring artist? The best things are getting to go somewhere new. I like being on the move and I get to show up somewhere new every day. It’s fun to constantly be on the move and see new things, meet new people. The worst part is being away from home and being away from the kids and the wife. I start feeling guilty when the kids haven’t seen their dad in a few days. Usually I’m gone for 4 days at a time but this has been 12 days so it’s starting to wear a little, that’s the worst part. Oh yeah, every night. It’s actually perfect to be over here because I’m 6 hours ahead so around the time I’m trying to go to bed at midnight or 1 it’d only like 6 or 7 pm there so I can Facetime and they’re eating dinner or something. It’s perfect timing. Talking about ‘Better Off Gone’, that song has been a massive hit. Did that take you by surprise? It’s crazy. It’s still growing. It’s just now climbing the charts in the US, on the radio airplay charts, we just got some big station ads out there so hopefully that continues. It’s crazy how long a song takes to climb the airplay charts over there in the US. Streaming wise it’s still growing too. So, yea, very surprised. It’s just crazy, you think a song has run its course but then something new happens and it just keeps going. Did you get a feeling when recording that particular song that it was special and was going to do big things? When I was finishing my album, I heard that song. My friend Abe Stoklasa had written it and I was like “man it sounds like you wrote that song for me” He was like “no I didn’t, I need a hit artist to cut it (laughs)” and I was like “I’ll make it a hit, I promise, please let me have it” and they said OK and let me cut it. When I got done with it, I said “I think this could be the one” The rest of the album is so upbeat, so big sounding and that sounded like a little acoustic track and that was the one that took off. We’ll continue with the “Better Off Gone” tour and that’ll get us into the Summer. Then its Ferries and Festivals. After that, we’ll hopefully release some UK dates and be over here in the Fall and back to Germany too. Yeah, should be a really fun year, especially coming back over to the UK! Well thank you for taking the time to speak with us, I really appreciate it. You are very welcome, enjoy the show tonight. For more coverage, news and reviews head to our Country2Country 2019 section!